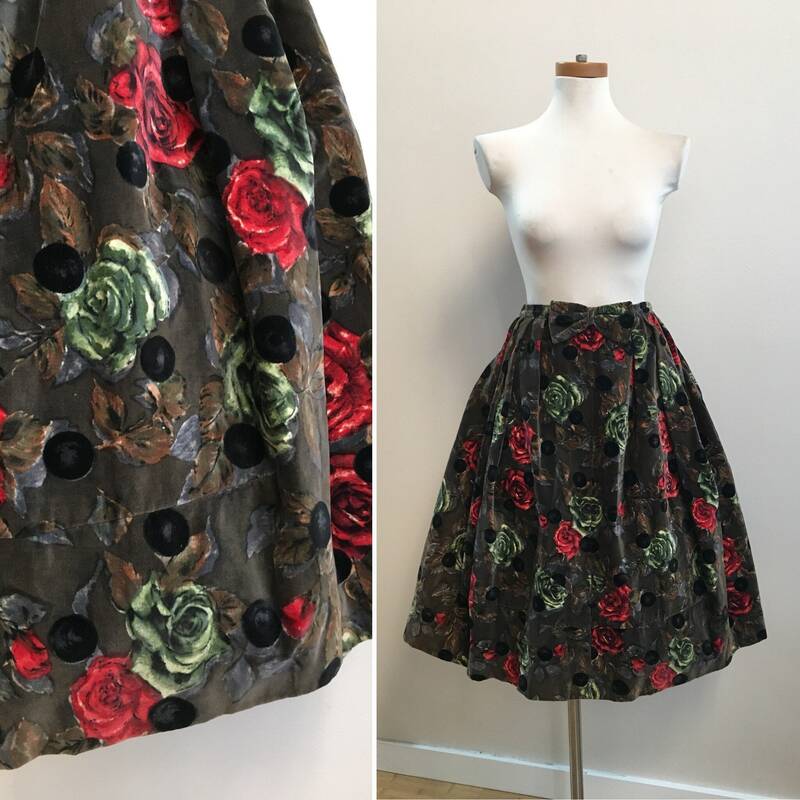 Gorgeous vintage 1950s green velveteen pleated full skirt with red & green roses novelty print, black polka dots and a bow in the front and back. 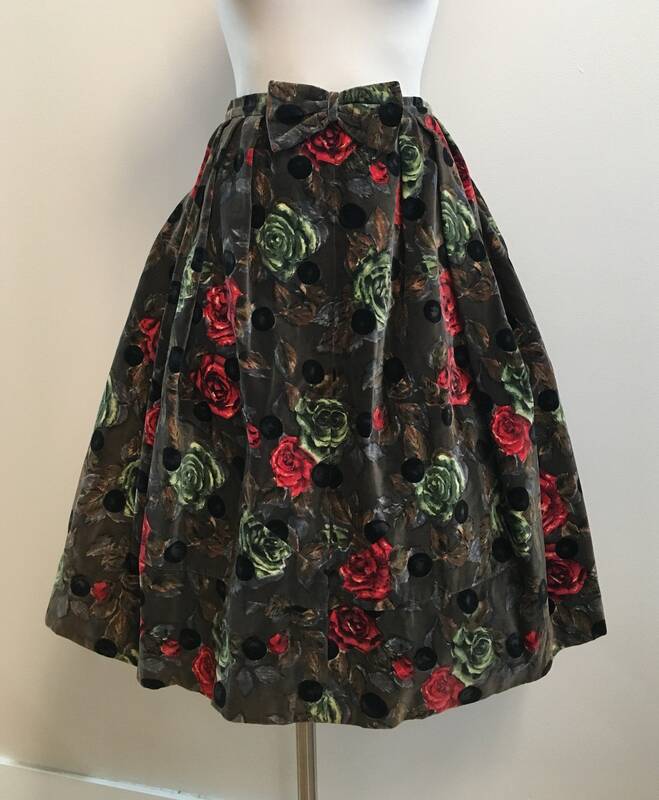 Perfect vintage condition; little to no wear from age or use. 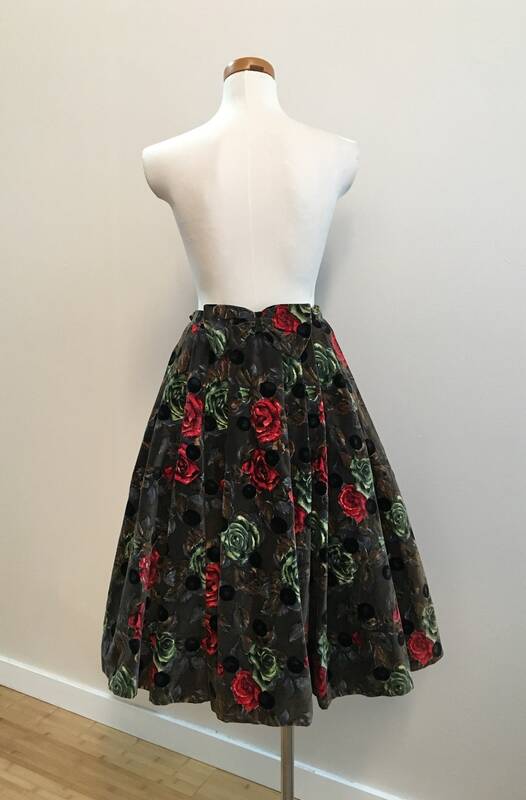 No flaws whatsoever to note anywhere on skirt. No holes, rips, tears, worn areas, open seams, stains, markings or discoloration. 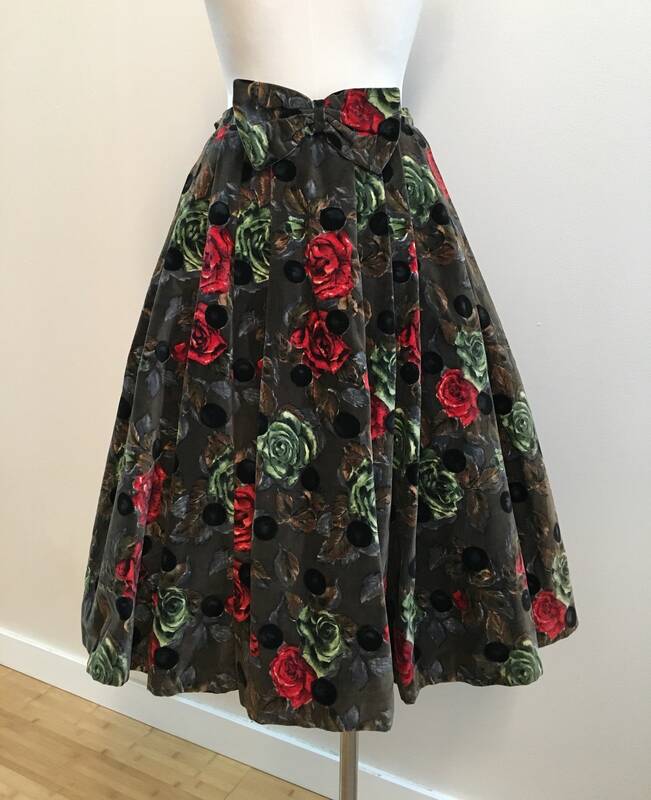 Beautiful green & red roses print throughout with larger black polka dots on layered on top. 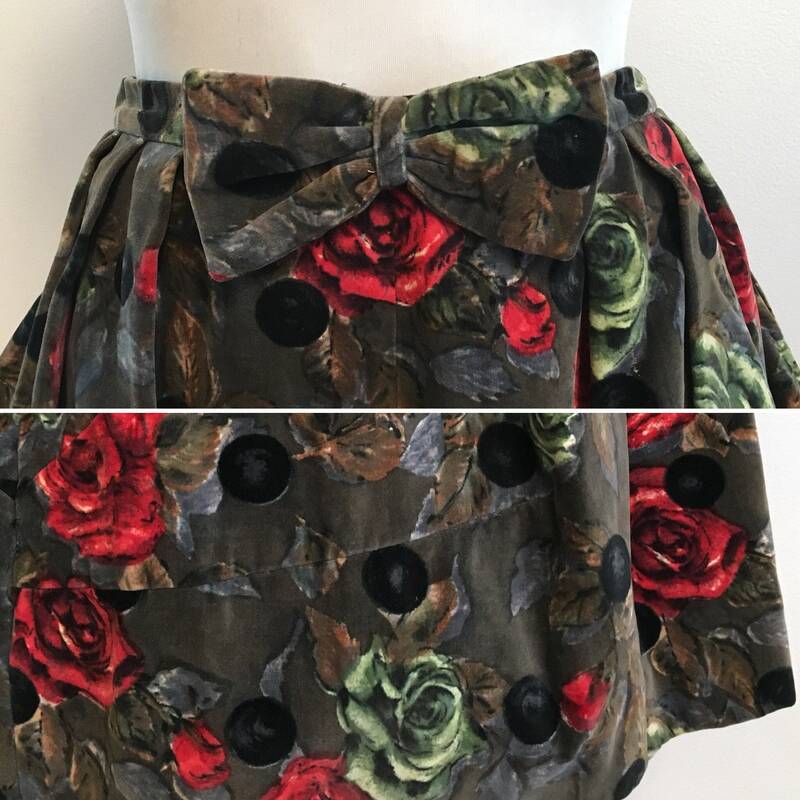 Waistband has a large bows attached to the front and back. 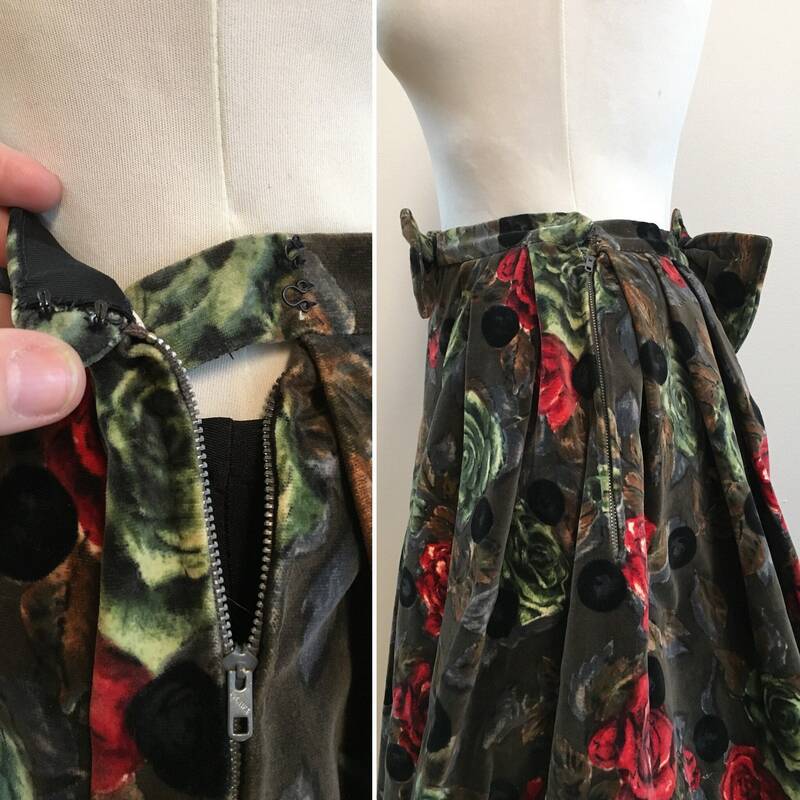 Vertical pleating at waist with a gap in front and a larger central pleat in back (see photos). 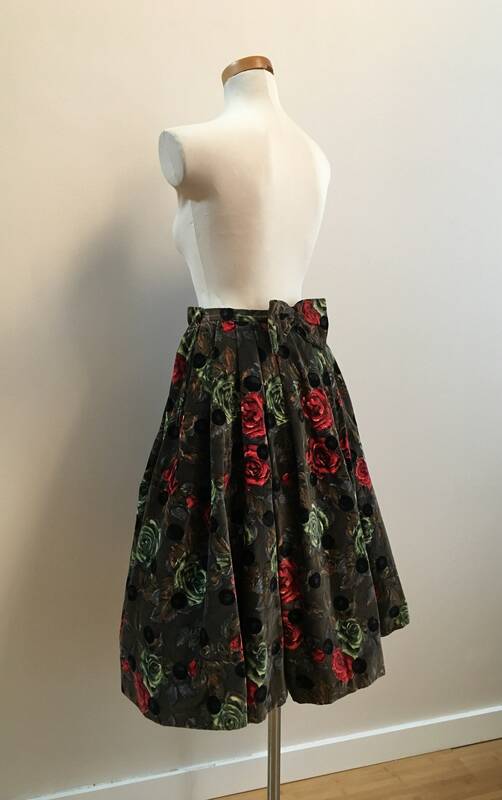 Skirt is full, but not a full circle. Two sets of hooks and eyes to close waistband above zipper on left side (when worn). Metal side zipper; zipper in great working condition and opens and closes easily. Velveteen fabric is soft, yet stiff and sturdy. Maintains full shape but still has movement. 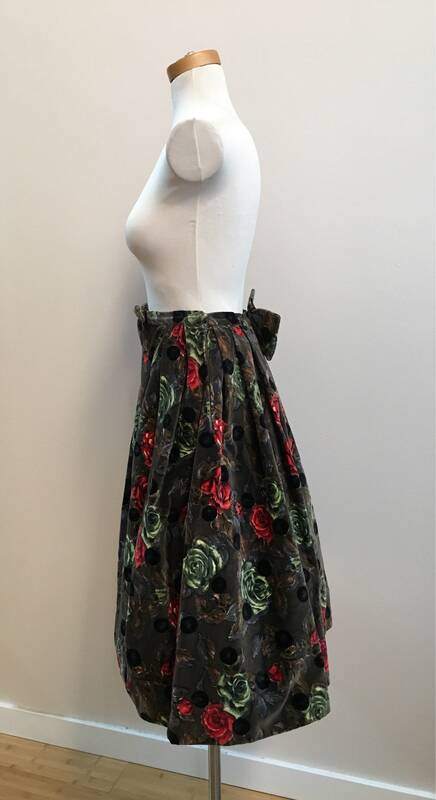 Layer of black interfacing underneath skirt for shape & structure (see photo). No other lining on inside. 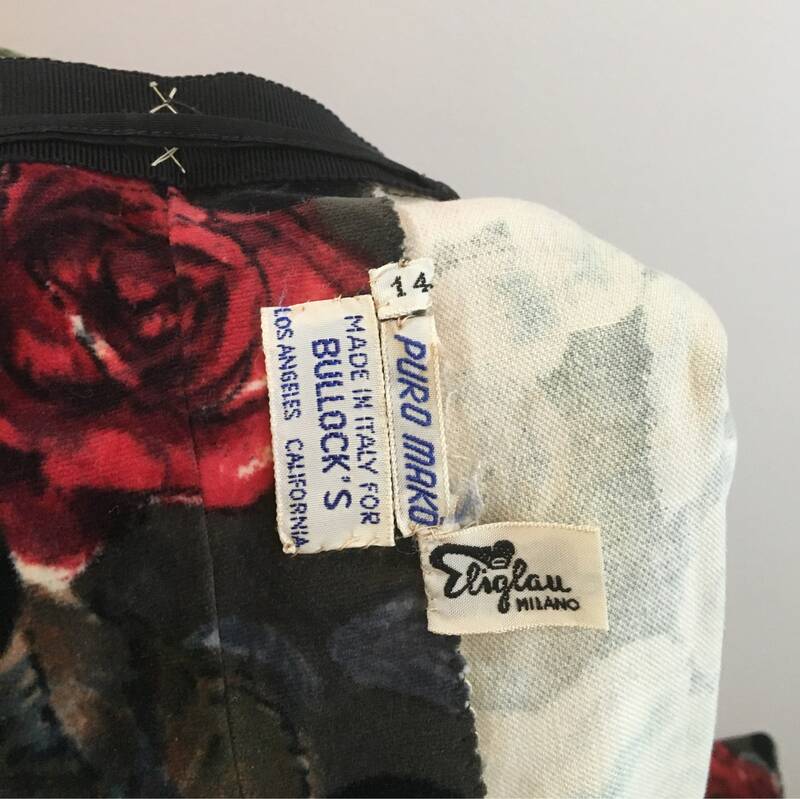 Tag reads 'Made in Italy for Bullock's' with a (vintage) size 14 tag; see measurements. Freshly dry-cleaned. Dry-cleaning recommended for future care or skirt. 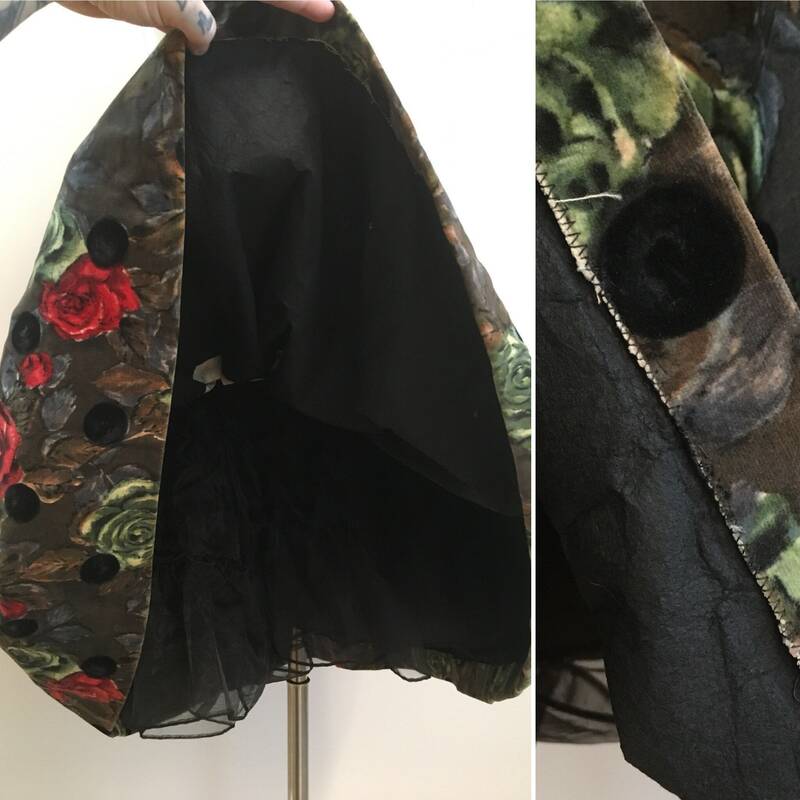 Shown with black crinoline underneath; crinoline not included.